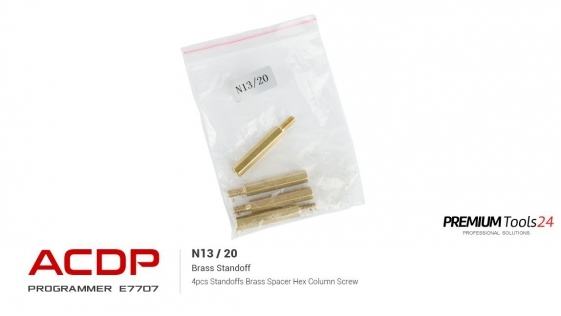 absolutely modern and innovative solution ! 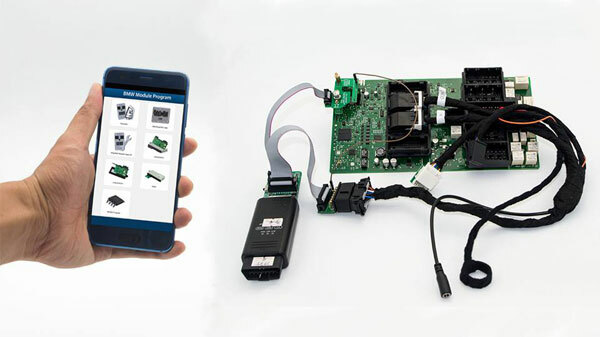 All operations are done without soldering, over OBDII or no need to open ECU ! 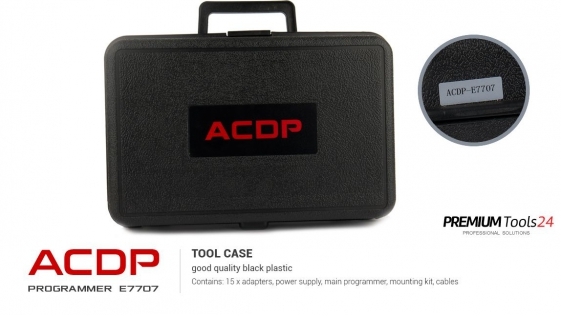 Yanhua Mini ACDP Programming Tool is designed for module programming on VW Passat, BMW, MB, Audi, Jaguar/LandRover, KIA, Honda, Hyundai, Mercedes BENZ and more. 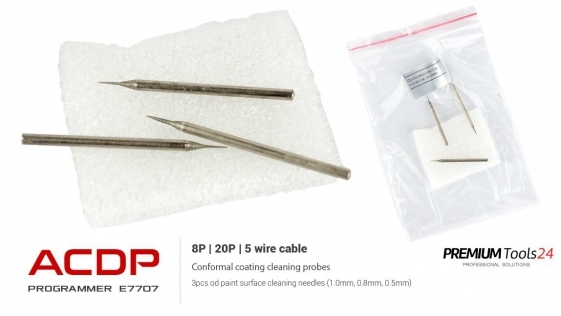 Programming can be done without soldering. 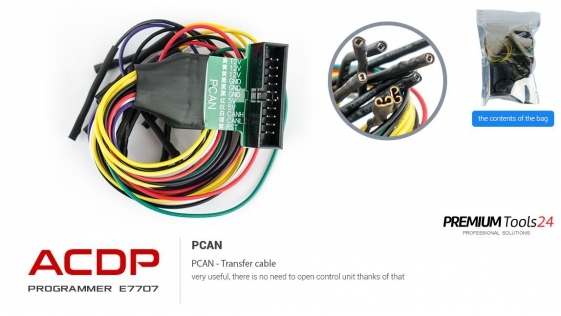 Passat MMC (NEC D70F3525 + 95320) instrument adjustment after years 2015 by ICP mode. As mentioned above, the Yanhua Mini ACDP Programmer is built of modules. 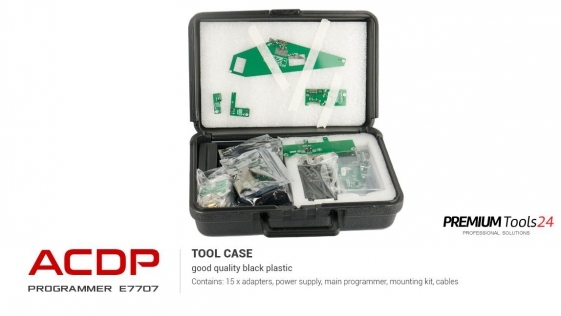 There are 10 modules available from manufacturer so far. 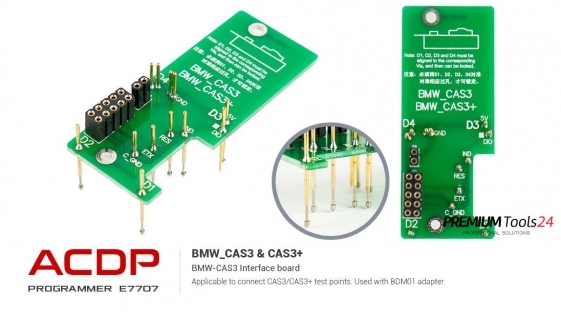 Support 93 /24/ 25 / 35/ 95 Series EEPROM in circuit programming (ICP) and on adapter board programming (OBP), and parts of Freescale / NEC MCU in circuit programming（ICP). 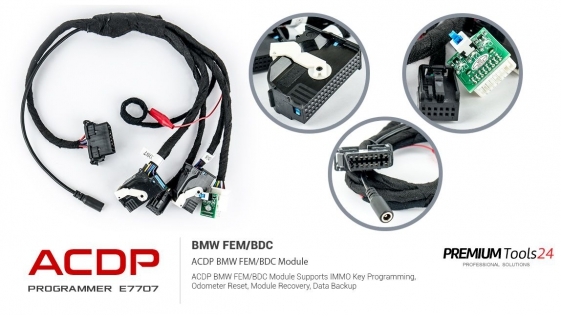 This module is a necessary basic configuration for other modules. 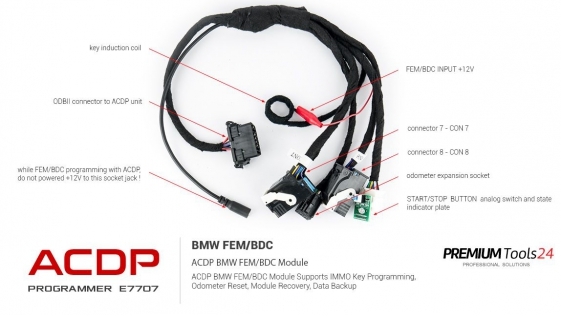 Support erase/adjust mileage of 080DOWQ/T,160DOWQ/T EEPROM. 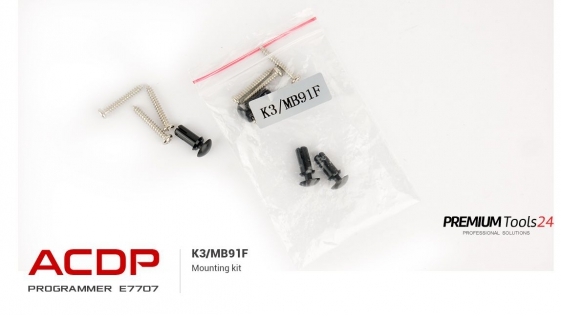 Support Fujitsu CPU MB91F (Honda Fit, KIA K3/K5, Sonata 9, etc.) Mileage adjustment. 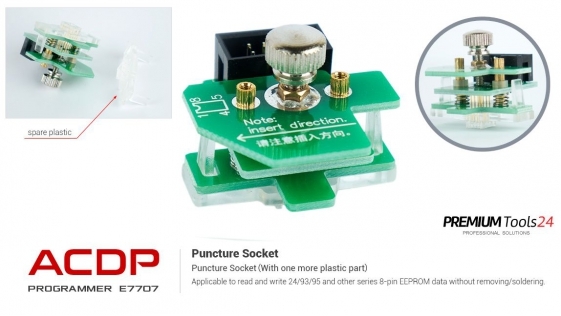 Here you can find "How to Connect Yanhua Mini ACDP to Your Mobile Phone"
The few pictures below show how to use the programmer. Just an animation of screenshots from the PC app. 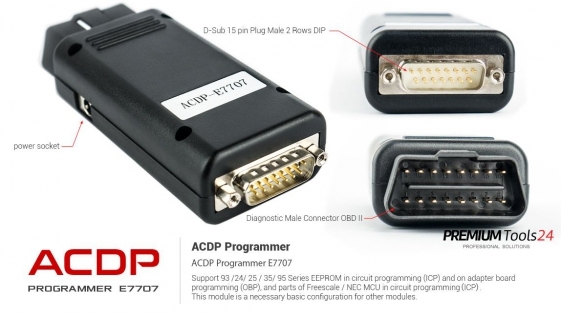 That's why this Yanhua Mini ACDP Programmer has no available manual or instruction separately. 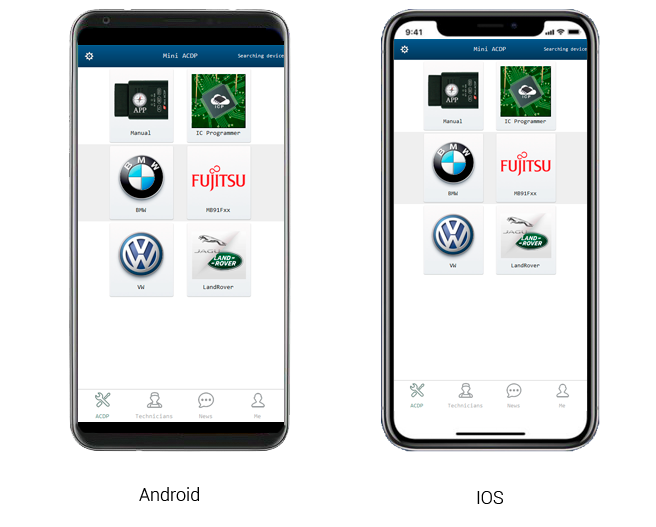 Everything is included in an App. As you can see the software is very intuitive with help files/manuals/instructions even video. 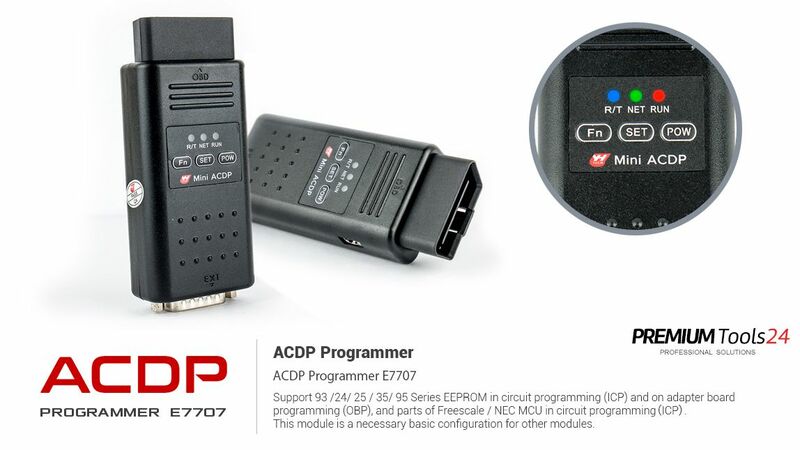 So, all you need is to follow the instruction shown on the display of your mobile phone or computer if you have a Bluetooth connection with a Mini ACDP programmer. 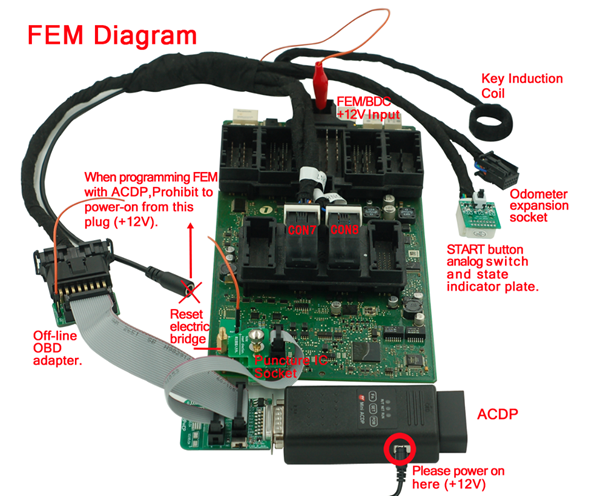 programming (OBP), and parts of Freescale / NEC MCU in circuit programming（ICP）. 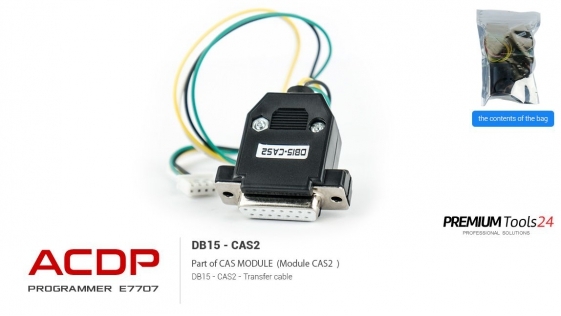 This module is a necessary basic configuration for other modules. 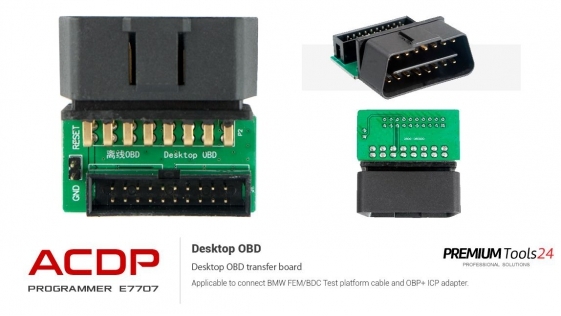 Applicable to connect BMW FEM/BDC Test platform cable and OBP+ ICP adapter. 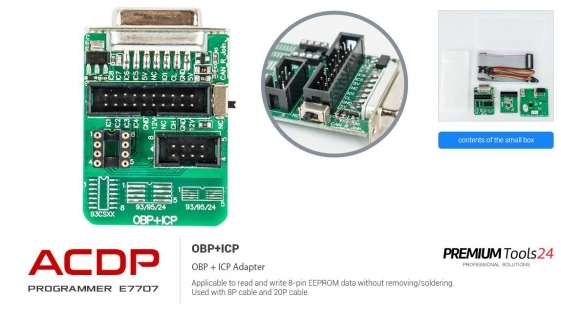 Applicable to read and write 8-pin EEPROM data without removing/soldering. 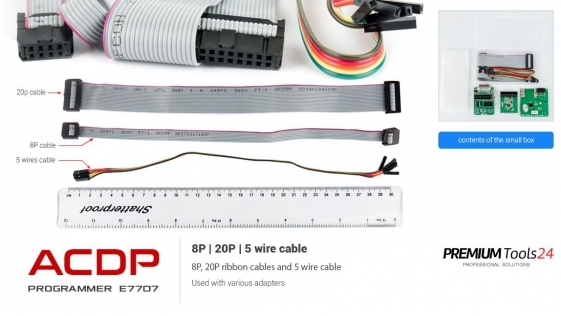 Used with 8P cable and 20P cable. 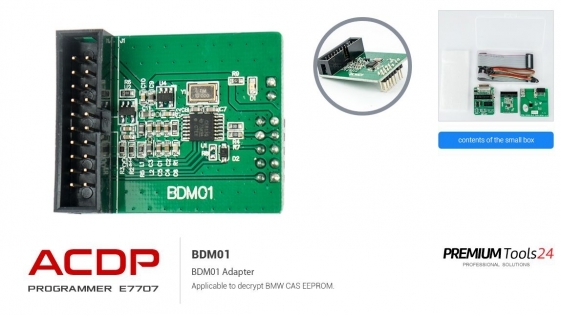 Applicable to decrypt BMW CAS EEPROM. 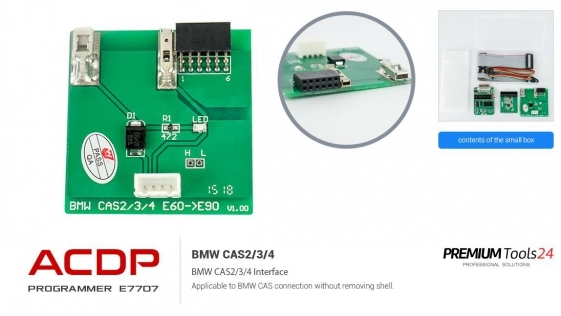 Applicable to BMW CAS connection without removing shell. 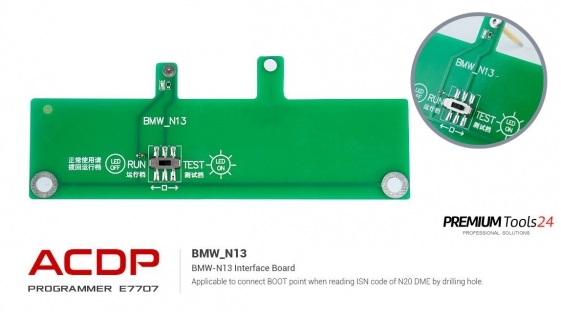 Applicable to connect BOOT point when reading ISN code of N20 DME by drilling hole. 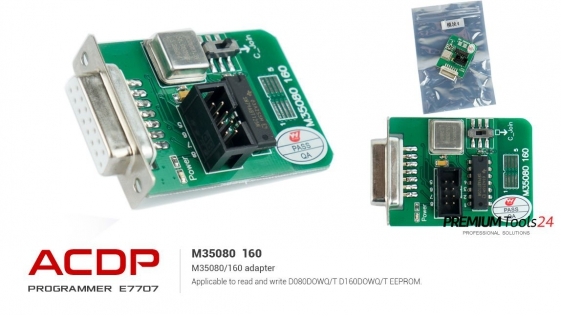 Applicable to read and write D080DOWQ/T D160DOWQ/T EEPROM. 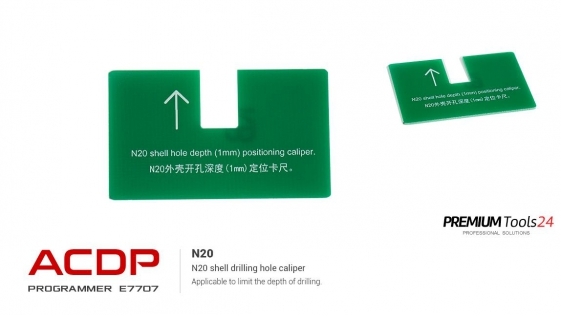 Applicable to limit the depth of drilling. 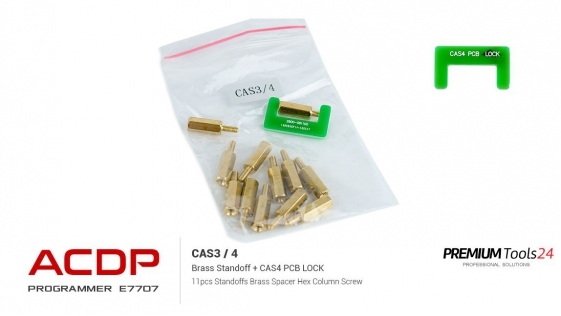 Applicable to connect CAS4/CAS4+ test points. 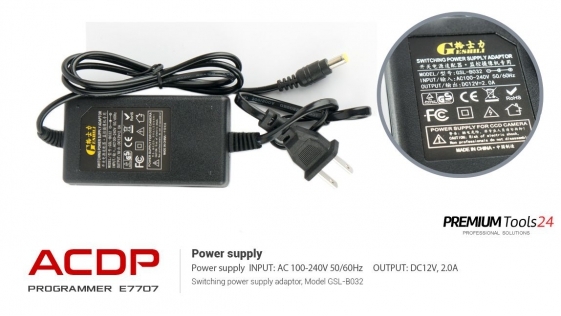 Used with BDM01 adapter. 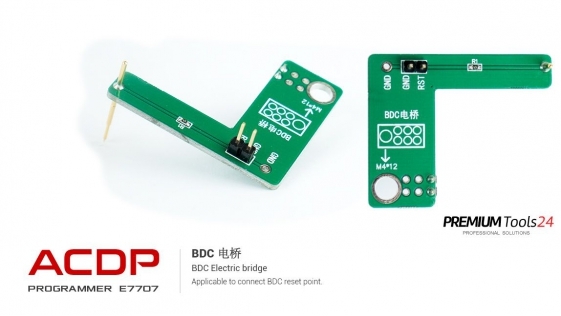 Applicable to connect BDC reset point. 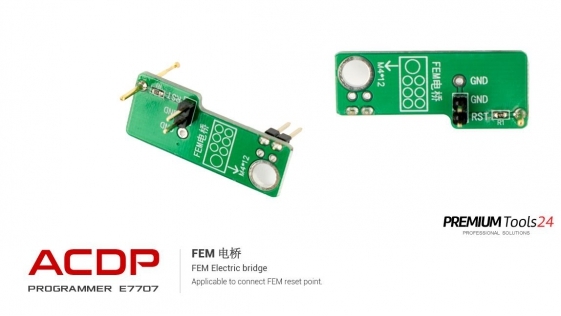 Applicable to connect FEM reset point. Applicable to connect CAS3/CAS3+ test points. 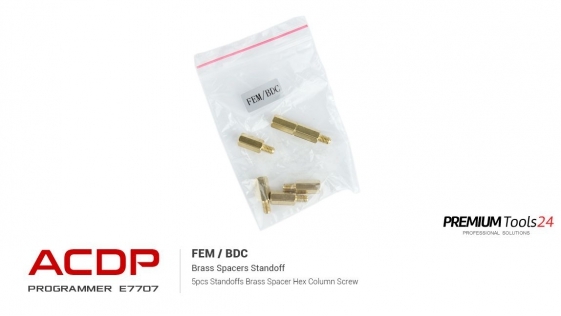 Used with BDM01 adapter. 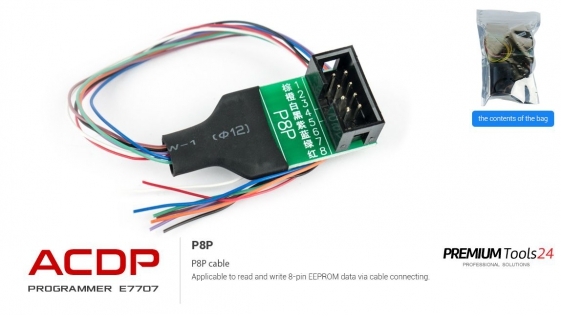 Applicable to read and write 8-pin EEPROM data via cable connecting. 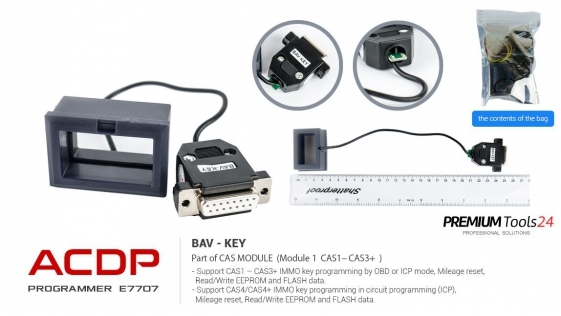 - Support CAS1 – CAS3+ IMMO key programming by OBD or ICP mode, Mileage reset, Read/Write EEPROM and FLASH data. 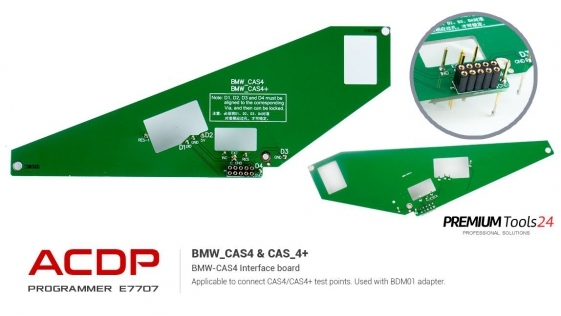 - Support CAS4/CAS4+ IMMO key programming in circuit programming (ICP), Mileage reset, Read/Write EEPROM and FLASH data. 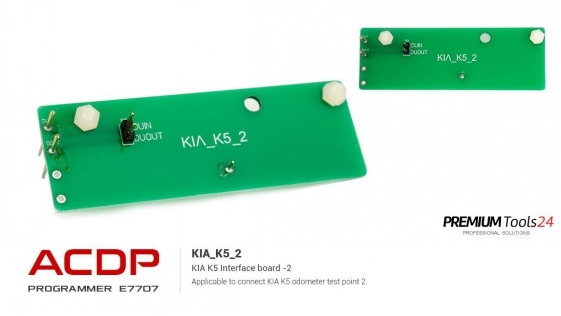 Applicable to connect KIA K5 odometer test point 2. 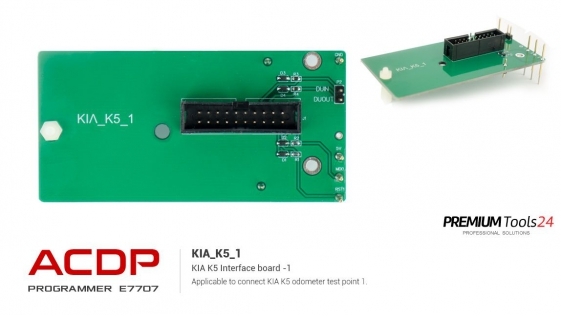 Applicable to connect KIA K5 odometer test point 1. 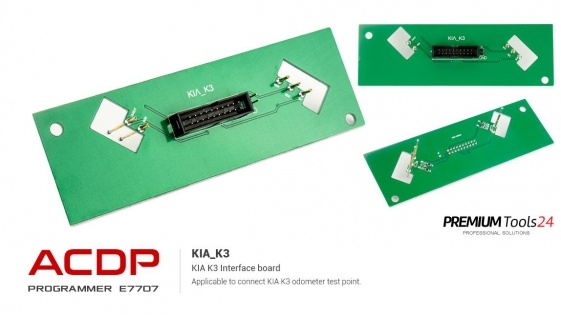 Applicable to connect KIA K3 odometer test point. 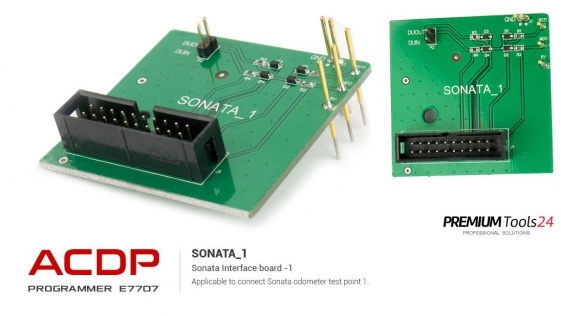 Applicable to connect Sonata odometer test point 2. 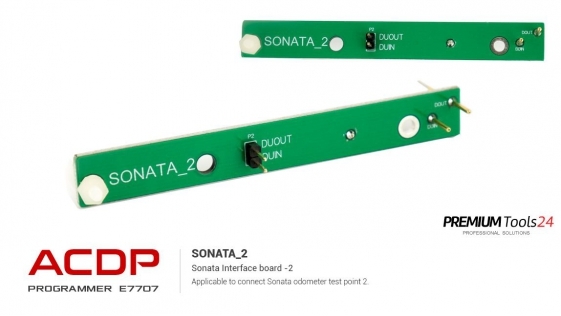 Applicable to connect Sonata odometer test point 1. 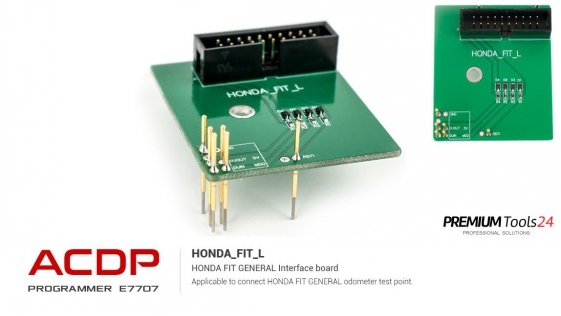 Applicable to connect HONDA FIT GENERAL odometer test point. 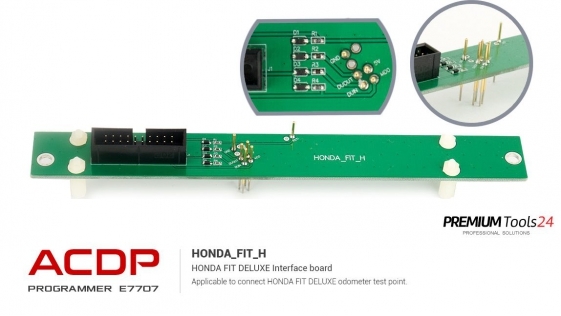 Applicable to connect HONDA FIT DELUXE odometer test point.